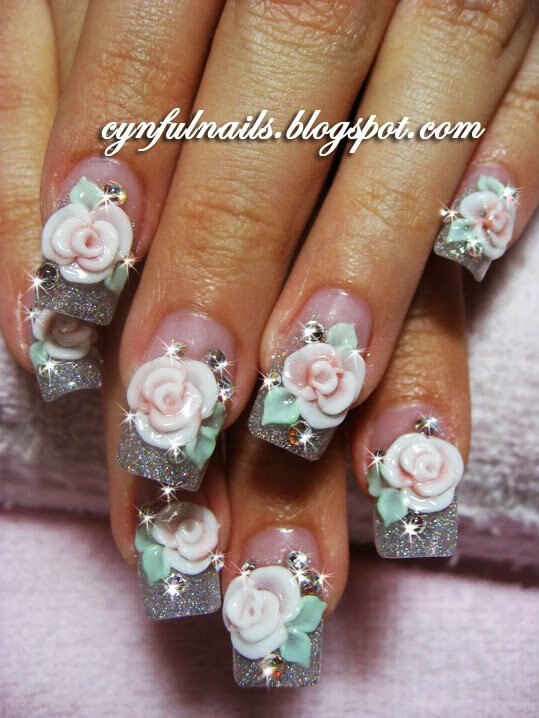 Cynful Nails: Bridal nails... with roses. 2 sets of bridal nails with roses. 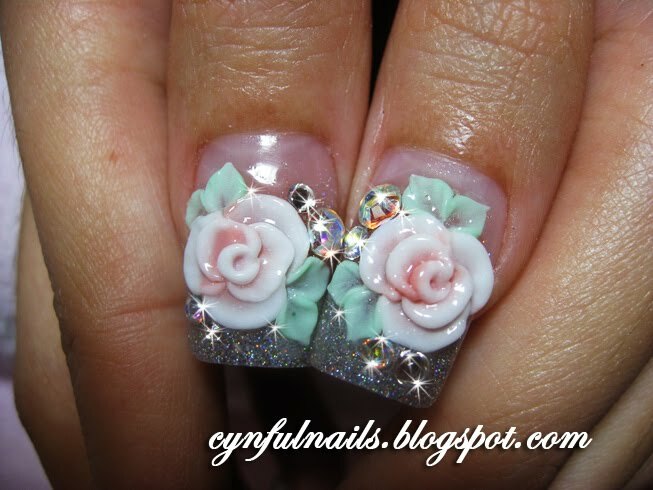 The closeup on the pastel pink glitter color and the flowers.